The complex is located at a distance of 20 km from Smolensk. It is "pretty sitting"in the environmentally friendly area, on the bank of the beautiful river Dnieper. 200 tourists can have a rest in a nice 5-storey building. 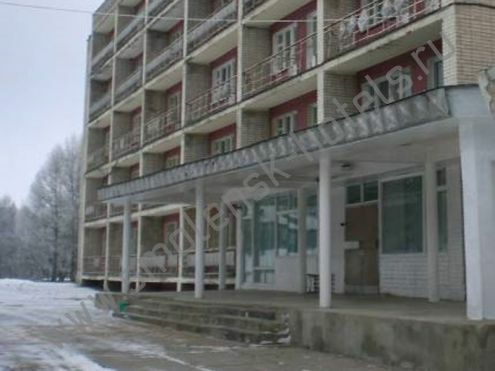 The rooms are double and triple with amenities.Cafeteria sits 200 persons.At your disposal: sauna, bar, sports grounds, parking, sports equipment rent.